Thirty years ago today, on July 18, 1987, a handful of concerned historians and battlefield enthusiasts came together at Arbuckle’s Restaurant in Fredericksburg, Virginia, along the banks of the Rappahannock River. It was a fitting site for such a gathering; this “modest waterway” which, as historian Clark B. Hall has described it, “achieved a strategic and tactical prominence in the Civil War exceeding any river” would once again find itself witness to history in the making. It was out of this similarly modest meeting over a $10-a-plate chicken dinner that the Association for the Preservation of Civil War Sites (APCWS) was born. The initial predecessor organization to today’s Civil War Trust, APCWS was our country’s first national body devoted to acquiring and preserving battlefield land. It would be another year and a half before this small but determined group of grassroots activists could claim its first victory: the acquisition of 8.5 acres at Port Republic in the Old Dominion’s beautiful and history-filled Shenandoah Valley. 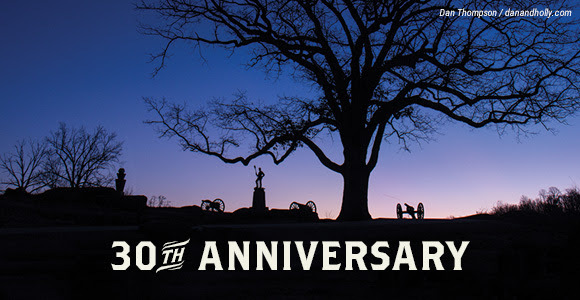 Since that fateful summer of 1987 and following a merger with another preservation-focused non-profit, the original Civil War Trust, in 1999 We have saved more than 46,000 acres of battlefield land, and now boast more than 250,000 members and supporters. Over the years, our name may have changed, but our mission and efforts in defense of America’s hallowed battlegrounds have remained ever-constant. Thank you for your role in helping to make the Trust the most successful heritage land preservation organization in the U.S. We couldn’t do it without you! Jim Lighthizer took over the reins of the Civil War Trust (then the Civil War Preservation Trust) in November 1999. Lighthizer’s first year as president was an eventful one, with perhaps no development more dramatic than the acquisition of the Widow Pence Farm at Cross Keys. Dr. Gary W. Gallagher and Robert K. Krick are well known Civil War historians recognized as leading authorities in their field. As the first president and vice president of APCWS, they also helped create the battlefield preservation movement from scratch. 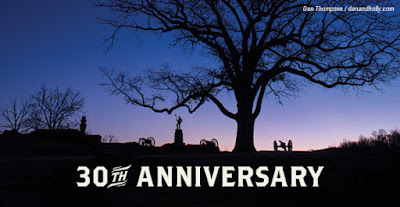 This short video offers a look at the story behind the founding of the Civil War Trust 30 years ago. Learn about our founders who led the charge, our dedicated members, and some of our great achievements. We have already saved key pieces of hallowed ground, but there’s more work to be done. See what the future holds for American battlefield preservation.